Do you feel bad after eating wheat products? Are you unusually fatigued for no apparent reason? Do you have an itchy skin rash or tingling in your feet and hands? If you have experienced these or other acute symptoms such as stomach pain or diarrhea, you may have celiac disease. Celiac disease is not a rare condition. According to the National Institutes of Health, more than two million people have the disease in the United States. And the trend is on the rise. Compared to data from the 1950s, the disease is four times more prevalent today in the U.S., even though authorities estimate that up to 83 percent of those afflicted have not been diagnosed. A study by the Mayo Clinic determined that undiagnosed celiac disease could quadruple the risk of death. A blood test and a small intestine biopsy by a digestive doctor can tell you if you have celiac disease. What Is Celiac Disease in Manhattan? New Yorkers with celiac disease suffer after consuming even trace amounts of gluten, a protein found in wheat, barley and rye. You can find gluten, in its many different forms, in many processed foods on supermarket shelves. It’s in many medications, vitamins and food additives like malt flavoring and modified food starch. Celiac disease involves the immune system. When you eat gluten, your immune system attacks the lining of your small intestine, interfering with your ability to break down food and digest the nutrients. While this is particularly dangerous for healthy growth and development in children, celiac disease at any age can lead to weight loss, anemia, osteoporosis, joint pain, seizures and even cancer. While there is no cure for celiac disease, you can live a full, pain-free life once you eliminate gluten from your diet. It may require an adjustment to your lifestyle, recommended by a gastroenterologist, but many have successfully made the switch to a gluten-free diet. 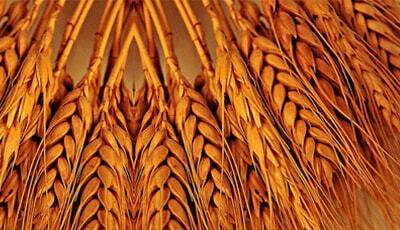 Wheat sensitivity is a medical condition that can cause symptoms similar to celiac disease. If a gastroenterologist gives you a blood test for celiac disease, it may come back negative, but you still can show symptoms such as skin rashes, headaches or “brain fog,” and unexplained fatigue. Some of these symptoms also can indicate other diseases and illnesses, making wheat sensitivity particularly difficult to diagnose. Dr. Khodadadian at Manhattan Gastroenterology can help you sort through the many options to get you on the path to feeling better. There’s no test specific for wheat sensitivity, but you can take action by eliminating gluten from your diet to see if your symptoms disappear. A gluten-free diet can’t hurt, even if you don’t have celiac disease or wheat intolerance, but you must maintain a well-balanced diet that includes sufficient fiber.